People tend to associate Provence with the Mediterranean, Lavender fields, Hilltop villages and the Luberon Valley but rarely would one associate the Alps. 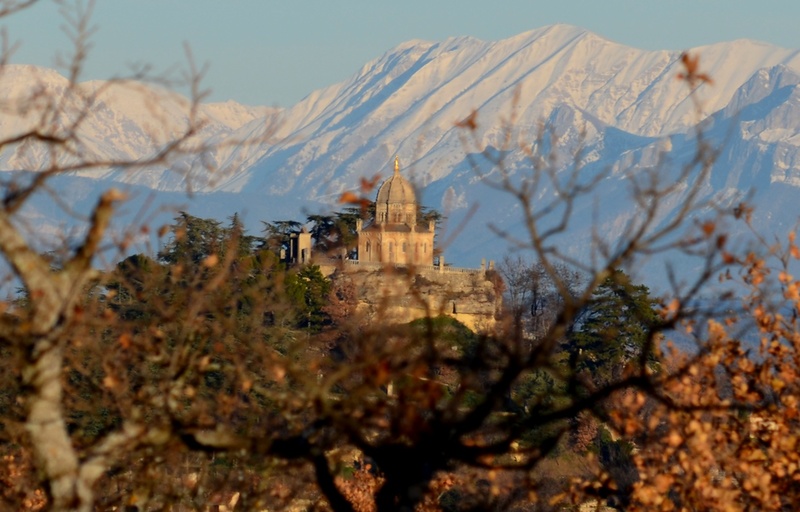 The Northernmost department of Provence is called Les Alpes de Haute Provence. It is probably the most authentic part of Provence in my mind and abounds in hidden secrets which I take enormous pleasure in revealing to my clients. It's also where I live and every day when I drive home from my office I have the privilege of the view of the Alps bathed in the warm glow of the setting sun. The Southern Alps are just next door and even though they are not strictly speaking Provence they fall within its administrative jurisdiction. There are several ski resorts which benefit from the sunshine of Provence whilst often boasting an excellent snow coverage especially towards the end of the season. 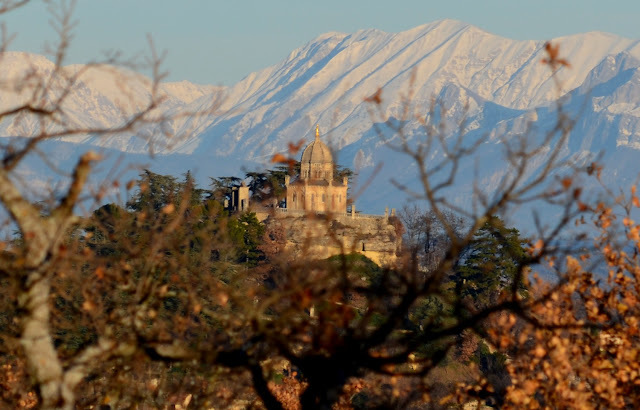 Here is a photo taken during an afternoon walk, you can see the Citadel of Forcalquier as well as the unmistakable mountain slopes in the background. The cameras zoom makes the mountains seem even closer than they really are and the effect is quite dramatic. There was no high point to get a clear shot so the tree branches became an inherent part of the image as well. We are looking forward to our visit with you in Provence, Philip! This is a beautiful photo.